Patty's Utopia: We Need Your Help to Take "The Dirty Girls Social Club" to the Big Screen! 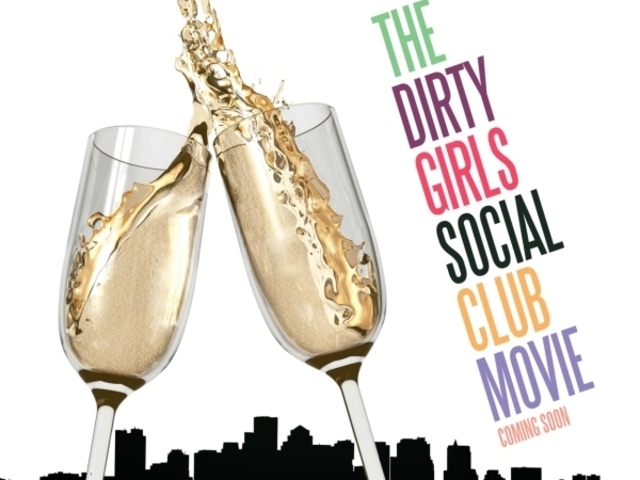 We Need Your Help to Take "The Dirty Girls Social Club" to the Big Screen! Well, that's what will happen if we decide to support Alisa Valdes, the author of this book. Alisa Valdes is a very successful Latina who, as described by her master's advisor at Columbia University, has “a mind that gives off sparks like steel on flint.” She is also one of the 25 most influential Latinos in the United States according to Time Magazine, and a NY Times and USA Today best selling novelist whose work has been published worldwide. Now that you know a little about her, perhaps you can understand my outrage when I read the story about her relationship with Lifetime Television. Six years ago, Alisa had a deal with them to create her novel "The Dirty Girls Social Club." A novel about six young, educated, professional Latinas who met at Boston University years ago, and have reunions that they call "sucia" (dirty) meetings. At these meetings they would talk about changing the world, buying houses, and things that we, as women, and Latino women go through. But, it was apparent that the relationship was not going to work after two executives told her that the pilot outline "wasn't Latin enough" because, "Latino professional women talk about whether or not to date men in prison." WHAT?! See? Outrageous! After this experience, Alisa decided to take matters into her own hands, and make her bestseller a movie. As any smart woman, she also knows what a big project this is, and for that reason, she is requesting the help of her hermanas to make this dream come true. The idea is to have a million Latinas donate one dollar each, and that way this film can be made for Latinas by Latinas. I believe this is something we can definitely do! This is not just Alisas' dream, I think, this is a dream that many of us would like to see happen. I am tired, as many of you, of the way the media keeps portraying us. ¡Ya basta! Here is our chance to support Alisa, and to be part of the story we want to tell about many of us. I encourage you to please, go to the Kickstarter campaign's website to help us take this story, our stories, to the big screen! NOTICIA DE ÚLTIMA HORA/LATEST NEWS: The link for the campaign to fund this film has been changed. Click HERE to make your donation. Wow. Thanks for posting about this!